THE NEW 2010 BROCHURE IS OUT!!! For all loyal CSA members and new inquiries look for your 2010 brochure in the mail this week. Notice a few new things! We are planning an extended share this season running from the week of October 10 to November 22 on an every other week delivery schedule. We will not be taking money for this until August 1 to make sure that the season and weather are cooperating with this plan. On the brochure is an inquiry box you can circle to show interest. Also PLEASE write your e-mails clearly (I know it’s a tiny line). 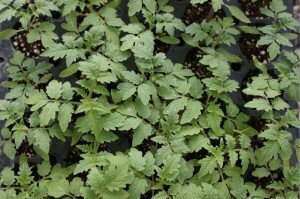 We planted our early greenhouse tomatoes, eggplant, leeks and snapdragons this week. As soon as they germinate in the house we will fire up the greenhouse. Lisianthus should arrive next week. Feel free to pass out your extra brochures to friends and relatives. We are planning on growing the CSA this year. Next Next post: WELCOME SPRING! !